Can you mix up delicious flavours of ice cream? Give the gorilla jungle to hide in? Create honeycomb for the bees? 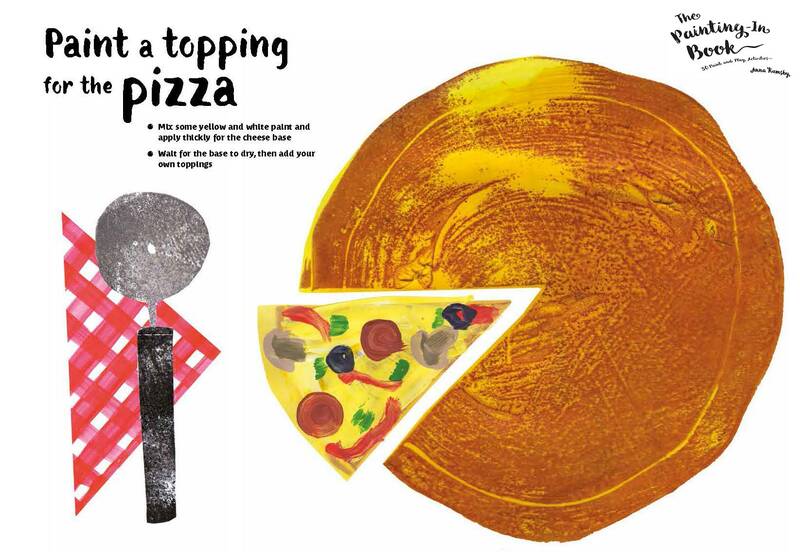 In her latest Children's book, Illustrator Anna Rumsby encourages your little one to bring over 30 fun, paint and play activities to life. Explore colour mixing and simple, easy to copy painting techniques through dabbing, sponging, flicking and printing poster paint directly onto her illustrations. Anna originally studied Fashion Design before turning her attention to Children's Illustrator for her MA at the Cambridge School of Art. She has recently located to Suffolk, where she balances teaching art to children alongside working in the studio on her own practice. Hi Anna! Your brand new book is about to hit the shelves, where did you find your inspiration for 'The Painting In Book'? I was designing greeting cards using a combination of hand carved stamps with gouache paint when I realised this technique would work well for an activity book. Painting can be so enjoyable when it becomes about the materiality of paint and I wanted to give children this pleasure. As the block prints were not obliterated by the paint I realised they would work well as the basis for the activity book. The Cambridge School of Art has great links to industry however it wasn't until two years after graduation that I was published. I followed my heart and left my job and salary in London to focus on art full time. This was when The Painting-In Book came about. I sent a dummy version of the book to Laurence King and their Children’s Commissioning Editor got back to me. You first studied as a Fashion Designer and then turned your attention to Children’s Illustration – Where did your change of direction come from? Originally I studied Fashion Design after which I worked for several years as a Personal Assistant. Feeling an urgency to create again I joined the MA Children's Book illustration at the Cambridge School of Art and I have recently completed The Drawing Year at The Royal Drawing School. I don't really see it as a change in direction so much as wanting to experiment with different mediums at different times in my life. When I look back though I realise I was more interested in making sculpture than clothing. I was very influenced by the radical fashion of Alexander McQueen and Hussien Chalayan. My designs were totally impractical and ridiculous. There are similarities, as I'm interested in clothes and the figure. 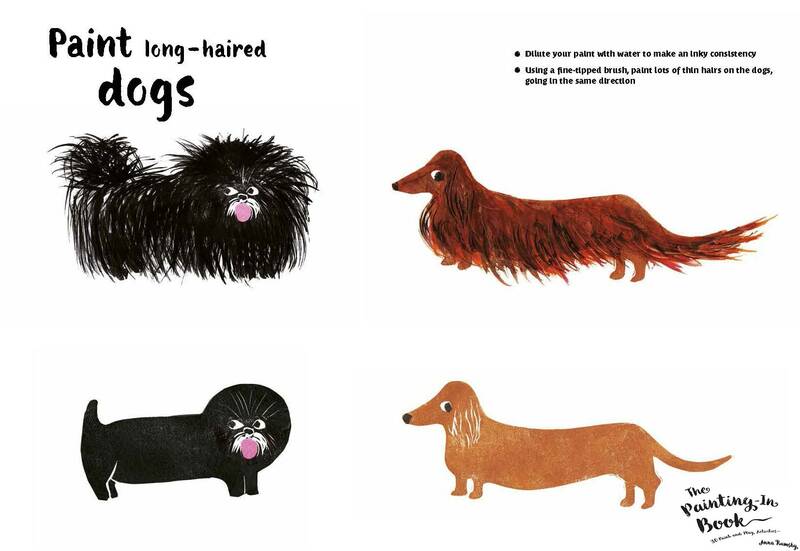 Both fashion and children's books are forms of design. How did you come up with each Paint and Play activity? It was a very whimsical, personal process. Initially I had divided the book into colours and themes but eventually I dropped the sequencing and designed pages around whatever I liked. Everything in the book has been a personal experience; the farmer is my father, the gorilla is Kumbuka from London zoo, the dog is my deceased dachshund and so on. I tried to inject character onto each page. There's a fantastic range of marks throughout. What materials and processes did you use to achieve them? The paint I used is Turner acrylic gouache. I find the colours delicious and they come in retro Japanese tubes. For the block prints I went through mountains of Speedball speedy-carve rubber, it cuts like butter and the line carves fluidly. I collected a lot of different brushes, a dagger brush was used for building up the fine hairs on the dogs and I used a fan brush to paint flames over the coals but soft round brushes are by far my favourite. The process was often reversed; I would experiment by making abstract marks allowing the paint to give me ideas for the activities. You encourage children to use paint to transform your book. Why encourage painting specifically? I am a painter so I’ve always felt painting to be a special experience, like being an alchemist. As a child I remember seeing tubs of colourful paint high up in a cupboard and desperately wanting to use them, the book was designed for myself as a child. Children love painting and I wanted to make painting more accessible to them in the same way colouring books are. I don't see the book as an end in itself, more as a warm-up for their own paintings, a bit like practising scales on a piano. I am continuing with my own large-scale oil paintings alongside planning workshops for children. I find children incredibly inspiring and painting with them is rather like how I imagine swimming with dolphins to be. I also have some early stage plans for a book that introduces children to sculpture. 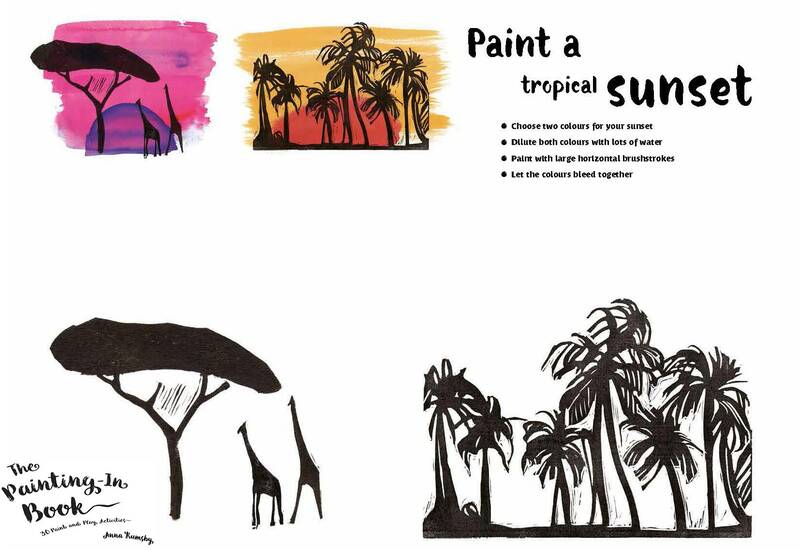 Download three paint and play activities and experiment with paint from home. 'The Painting-In Book' is now available to buy in Cass Art Stores across the UK and online here. Explore our range of paints online and fun activities for kids to keep them entertained this half term on the Cass Art Website. Looking to get them out and about? Keep up to date with our latest workshops and events, free at your local Cass Art Store.